Fresh peas are in season now and hubby can’t seem to stop buying it! !Peas based dish features in our menu twice a week..he cites they are quite cheap too hence he can’t stop buying..I just can’t seem to fight with his logic.Only thing I can do is to make peas recipes often and start liking it as much as he does!! While browsing through my cookbooks,I came across this very easy Peas pulao recipe that looked very appetizing.I planned to make it soon and made it for Sunday lunch along with Paneer Butter Masala.It tasted great and am gonna make it again.It was quite simple too and did not require the usual marination of vegetables and all that.Though the recipe required the use of Jeera rice,I made it with Basmati rice. 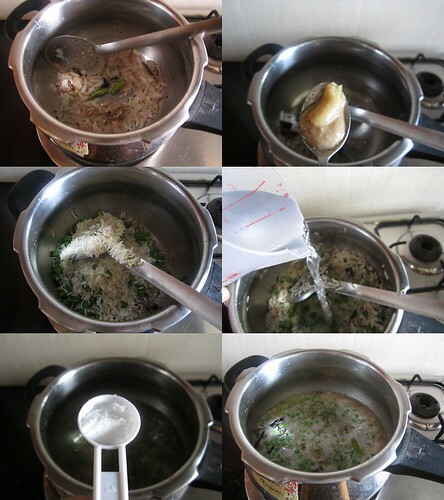 Measure the rice,wash well under running water for 2-3 times or until the water runs clear.Add the frozen green peas and soak in enough water for 15-20 minutes. 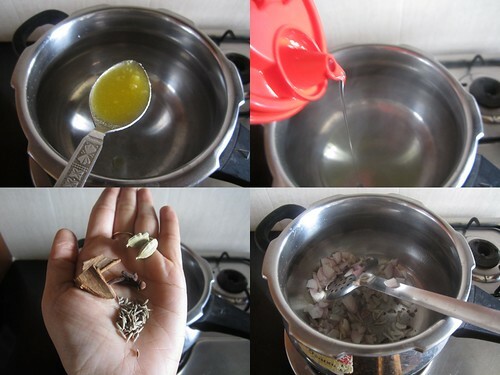 In a pressure cooker,add the ghee and oil and the spices one by one starting with jeera,cinnamon,cloves and cardamom.Saute for a minute or so then add the sliced onions. Add the slit green chilly and the ginger garlic paste. Now drain the soaked rice and peas and add it into the cooker.Saute well till everything is mixed.Add enough salt to taste and 2 cups of water. Let it come to a boil and then close the pressure cooker lid and put on the weight.Cook for exactly one whistle and then switch off the cooker and let it cool down to room temperature. Open the lid,fluff with a fork and serve. I imagine the peas and paneer masala together. What a rich food! looks delicious with all the cashews garnished and all..
Fabulous peas pulav DIvya..love anything with green peas...awesome click.. 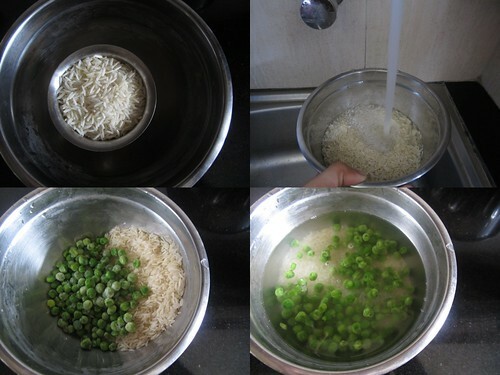 I just made peas pulao last sunday and seeing this i want to have them. 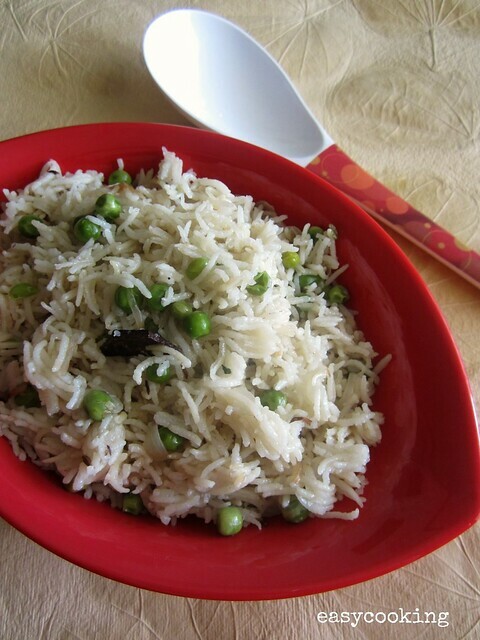 I love rice in any ways, peas pulao is one next list to try. Looks so delish! Though i regularly make peas pulao but i always mix rice and shelled peas in pressure cooker .Next time i wud try adding onion, akha masala and hing too(i mean i will follow ur recipe :-)).Thnks for sharing ! Thank you all for the lovely comments!! 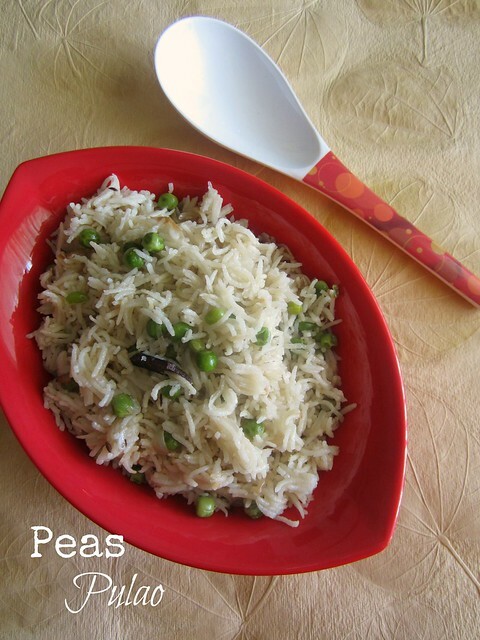 That peas pulao with the paneer curry you posted earlier must make for such a tasty combination.